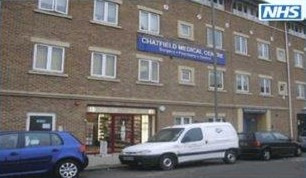 " We aim to care for our patients in a safe healing environment that respects them and treats them as we would wish ourselves and our family to be treated"
Chatfield Health Care provides family doctor services for people living in Clapham Junction, West Battersea and Wandsworth. The surgery occupies purpose-built premises with full disabled access. Facilities available include wheelchair access, disabled parking, induction loop and disabled WCs. The practice is part of the Wandsworth Clinical Commissioning Group (CCG) and supplies primary care services in accordance with a Personal Medical Services (PMS) contract held with NHS Wandsworth. Our practice is inspected by the CQC to ensure we are meeting essential standards of quality and safety.